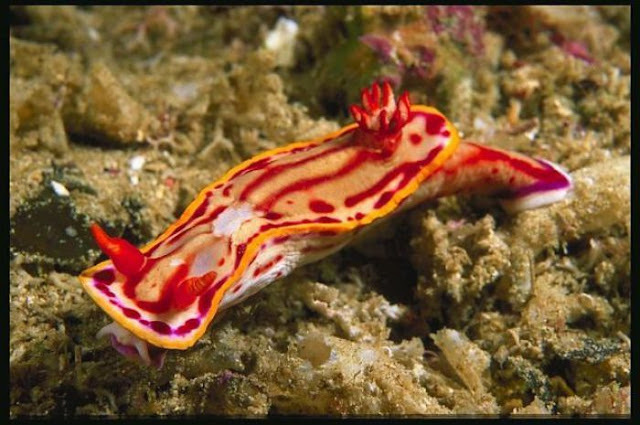 Sea slug name for a marine gastropod mollusk that lacks a shell as an adult and is usually brightly colored. 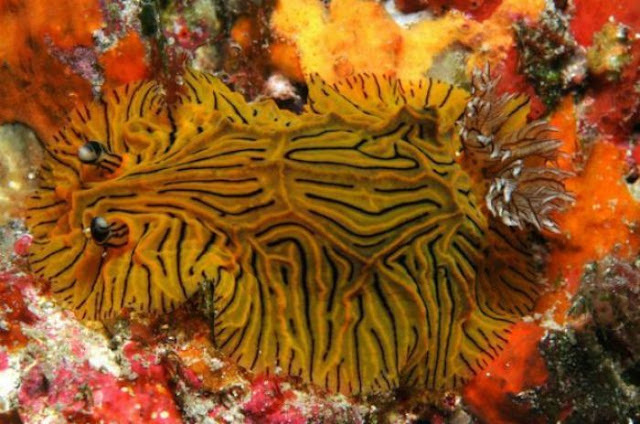 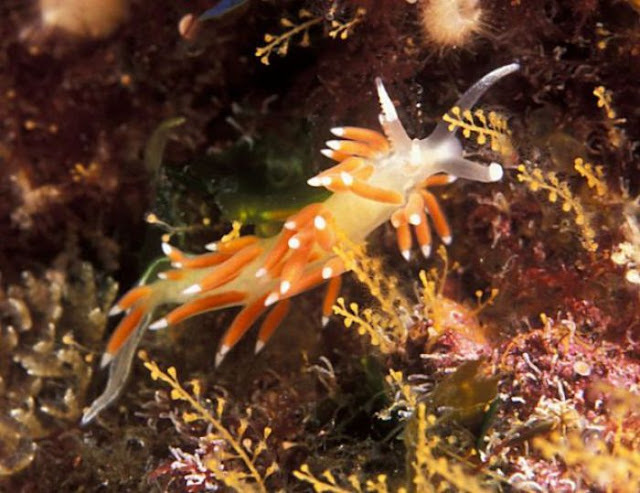 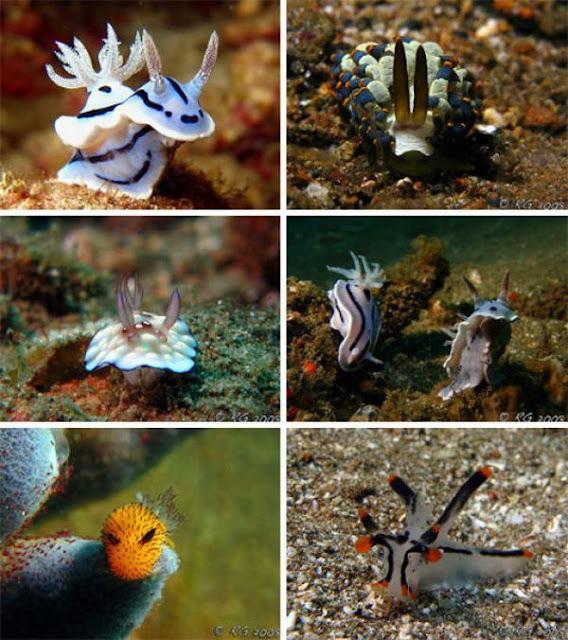 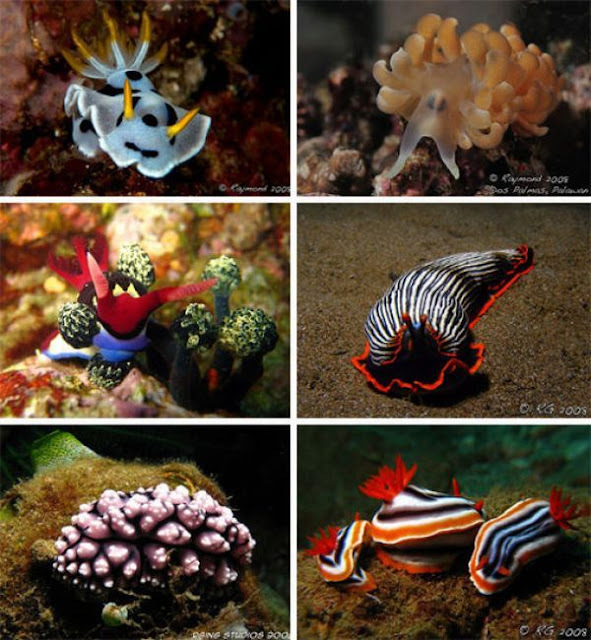 Australia's Sea slugs, or nudibranchs, are distributed throughout the world, with the greatest numbers and the largest kinds found in tropical waters. 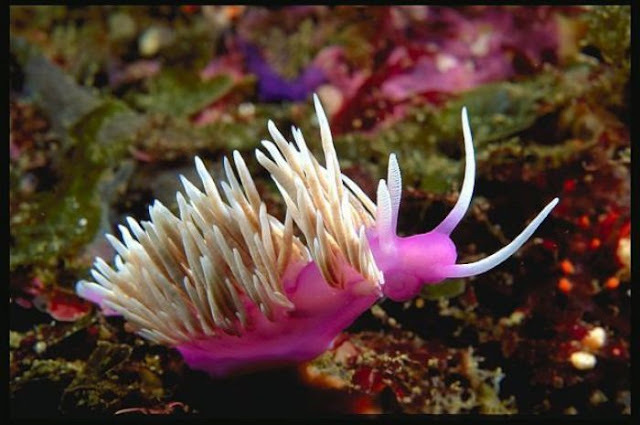 They creep along the bottom or cling to submerged vegetation, usually in water just below the low tide line. 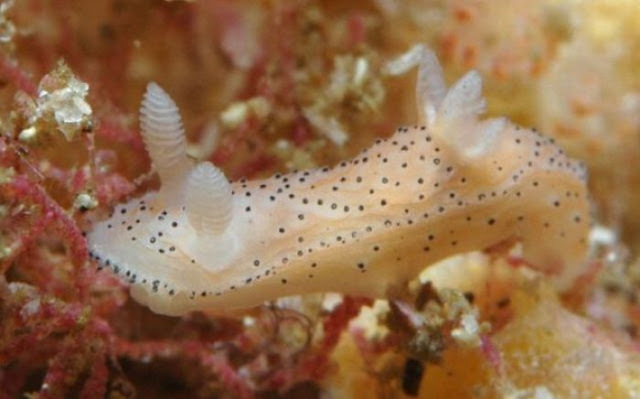 Members of a few species swim on the surface in open ocean. 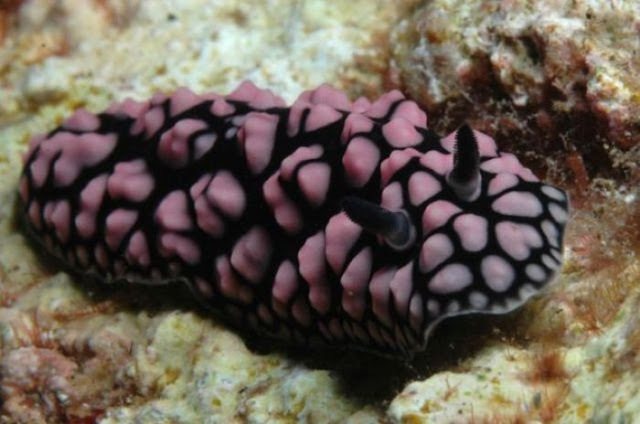 Most sea slugs are under 1 in. 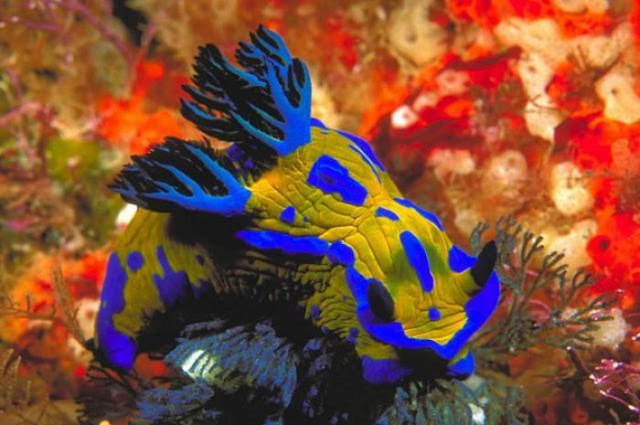 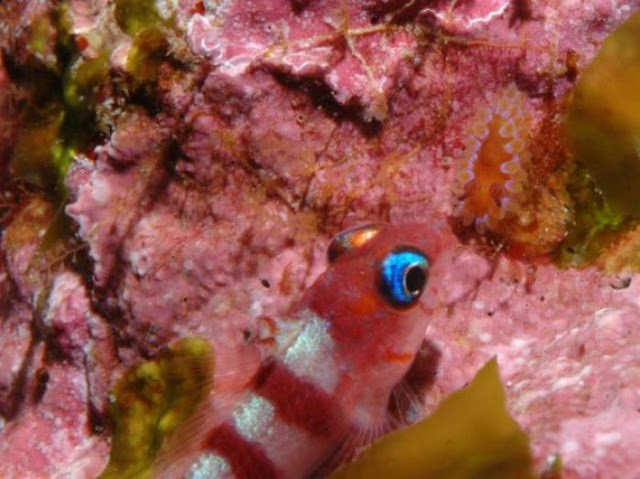 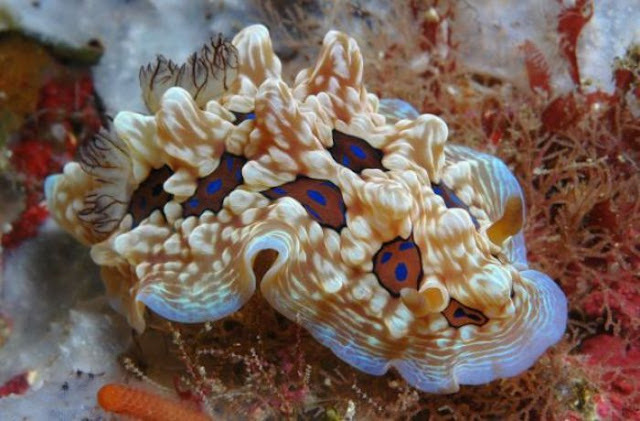 (2.5 cm) long, although the largest, found in the Great Barrier Reef of Australia, reaches 12 in. 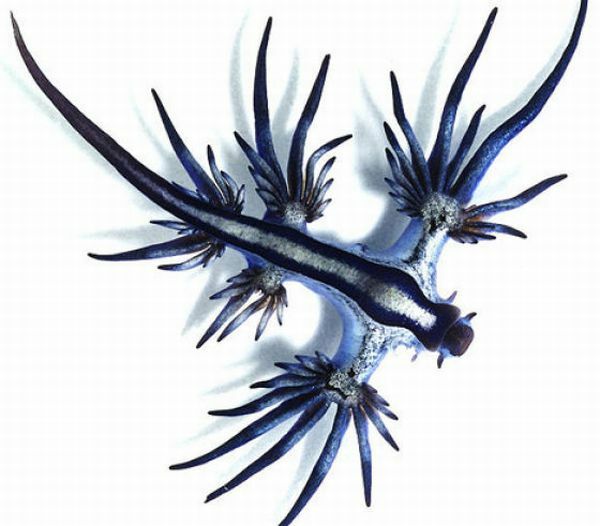 (30 cm). 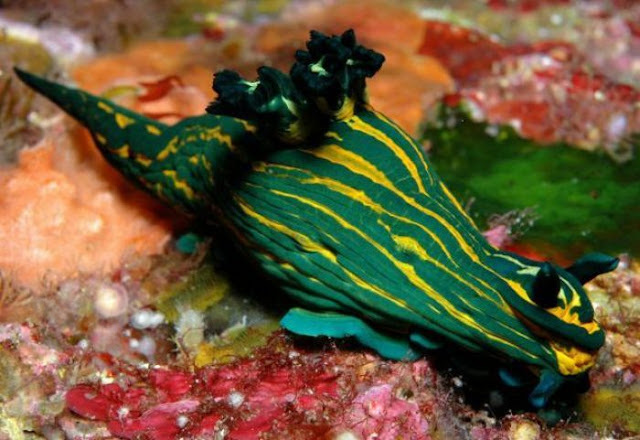 Regarded by many people as the most beautiful of marine animals, sea slugs display a great array of solid colors and patterns. 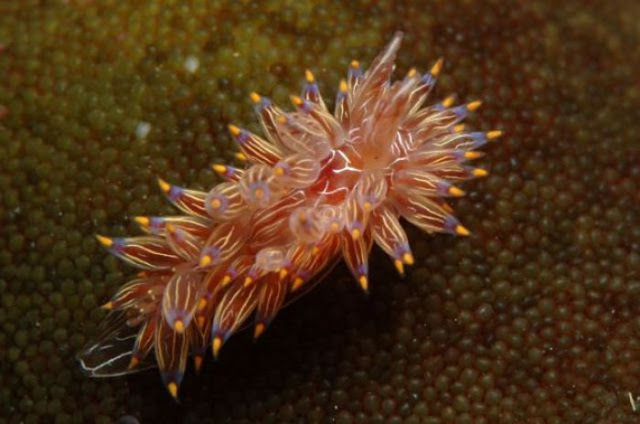 Many have feathery structures (ceratia) on the back, often in a contrasting color. 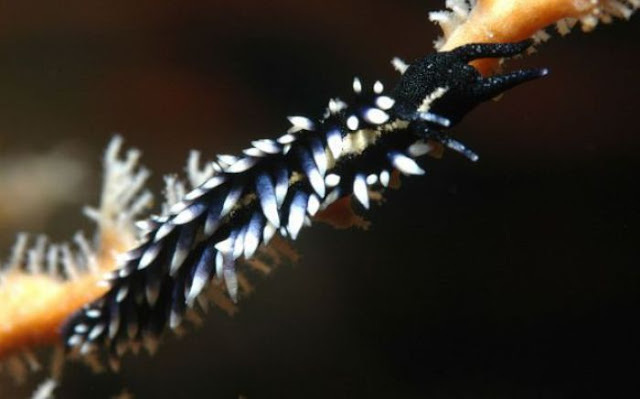 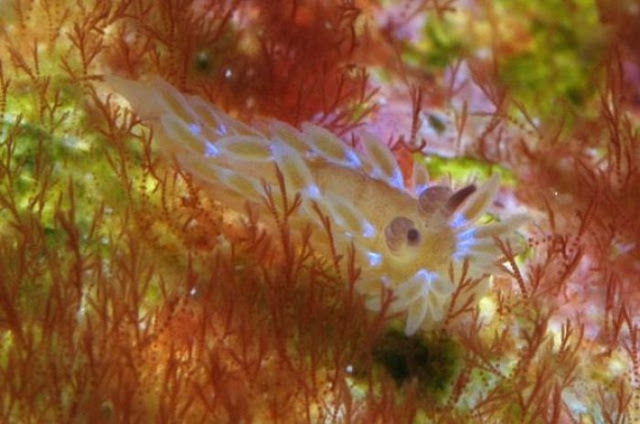 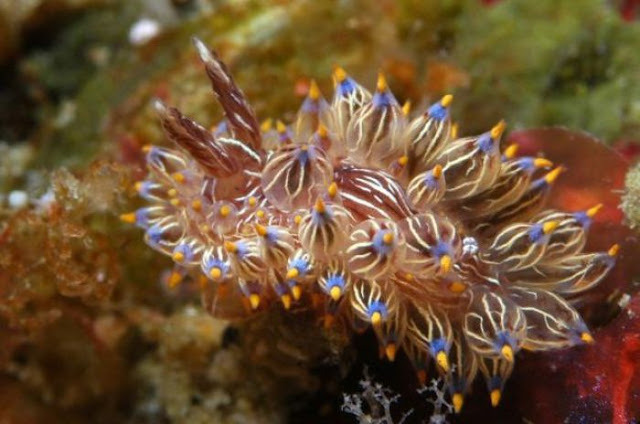 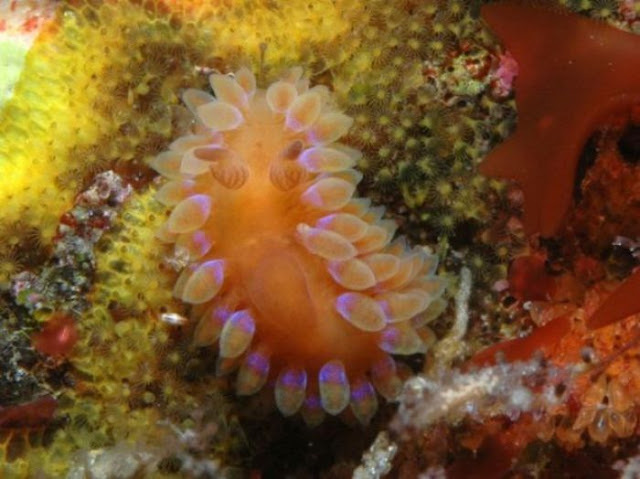 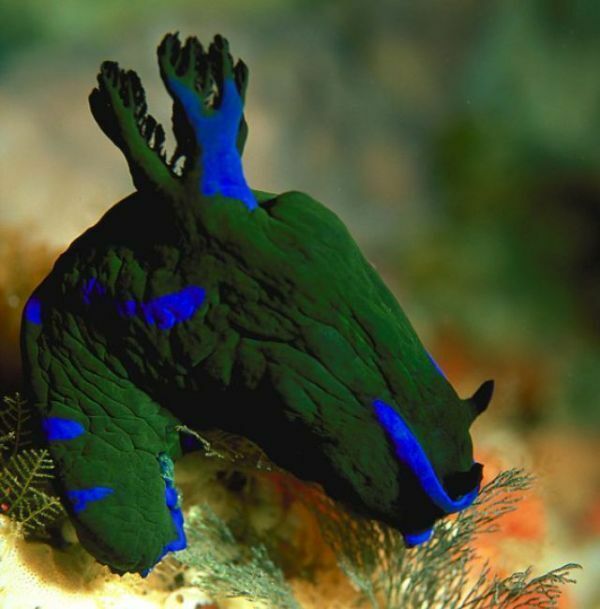 Australia sea slugs have two pairs of tentacles on the head, used for tactile and chemosensory reception, with a small eye at the base of each tentacle. 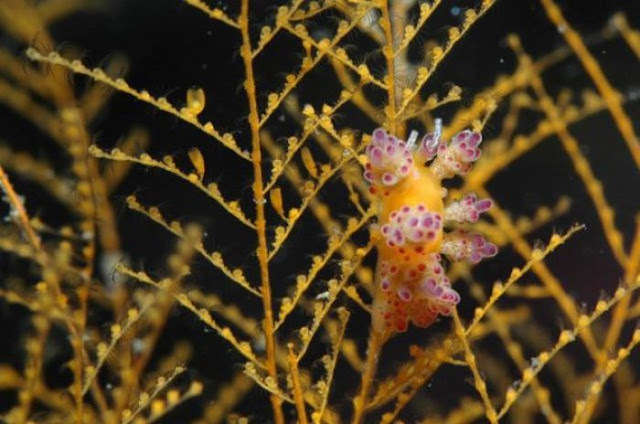 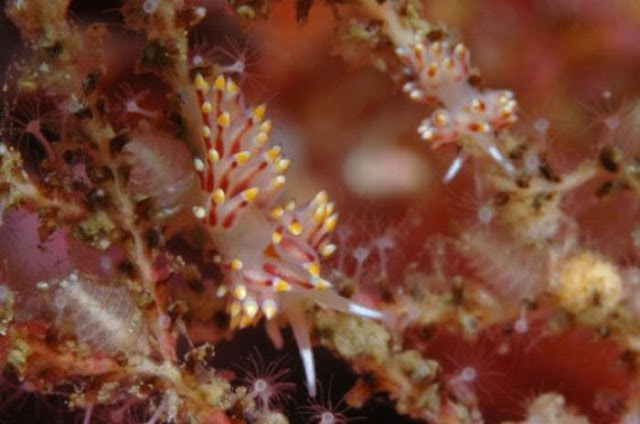 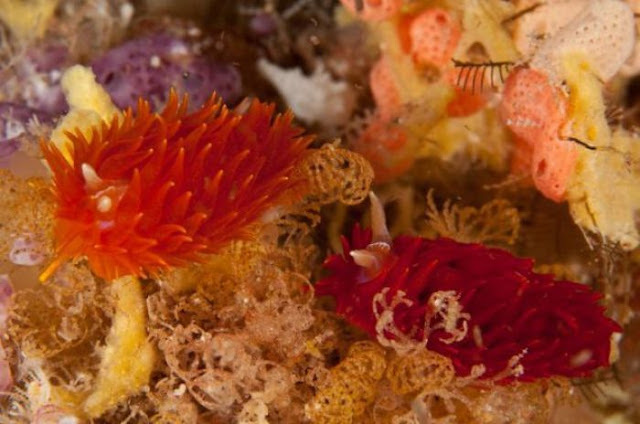 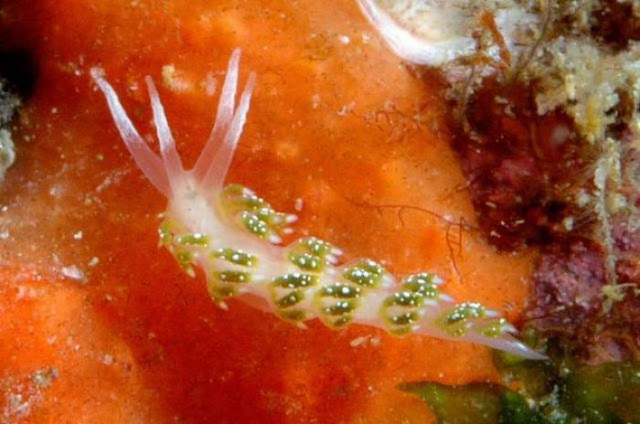 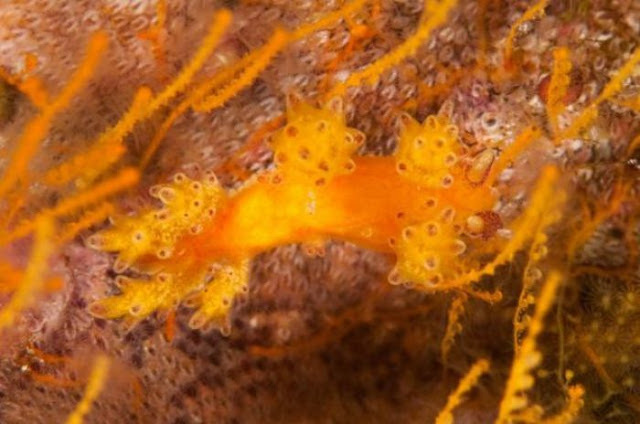 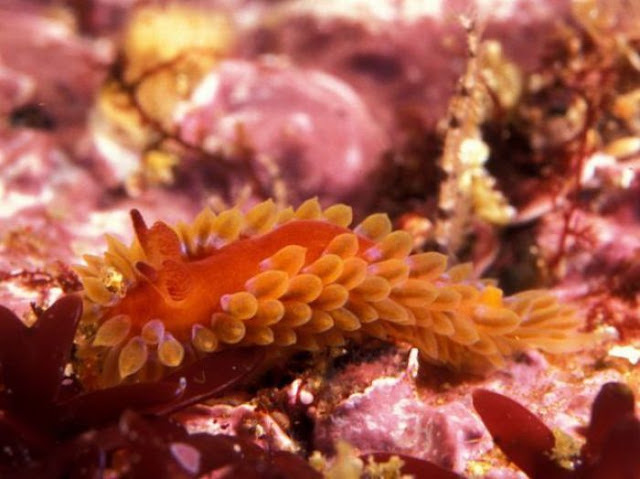 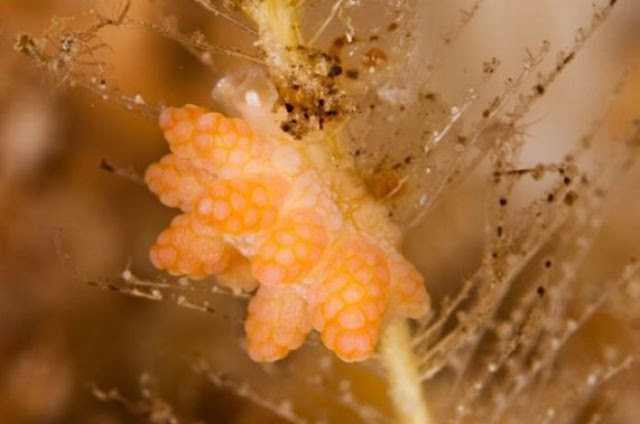 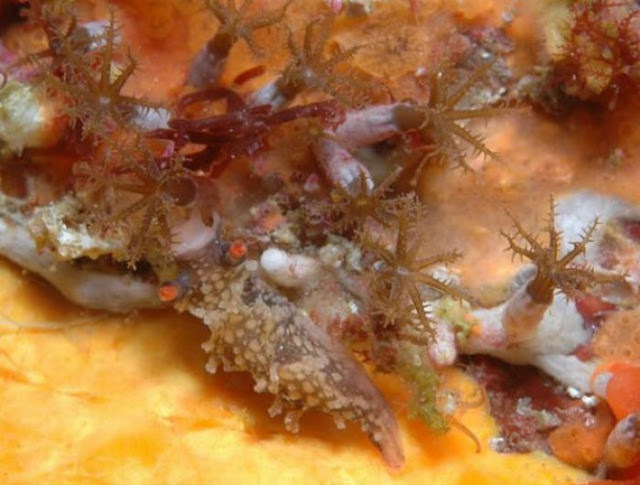 Sea slugs graze on small sessile animals such as coelenterates, sponges, and bryozoans. 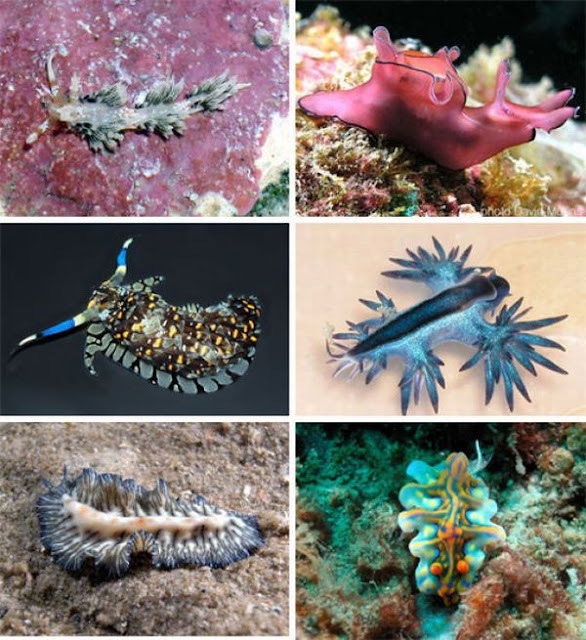 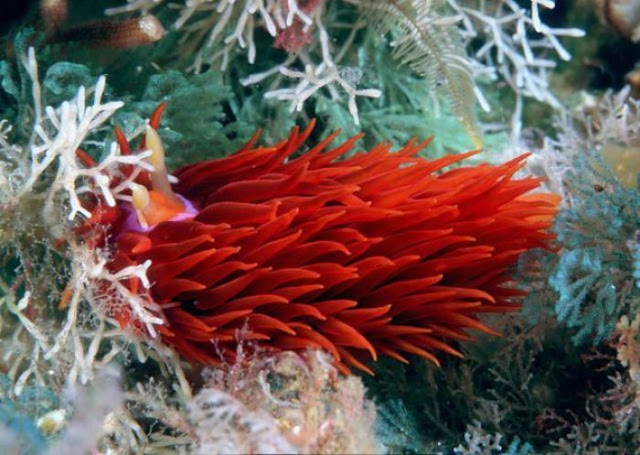 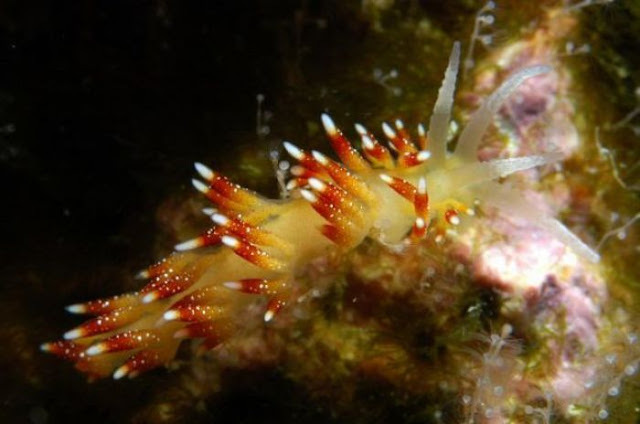 Certain sea slugs that feed on corals and sea anemones ingest the stinging cells of their prey without discharging them; these then pass from the slug's digestive tract to the ceratia, where they are used by the slug for its own defense. 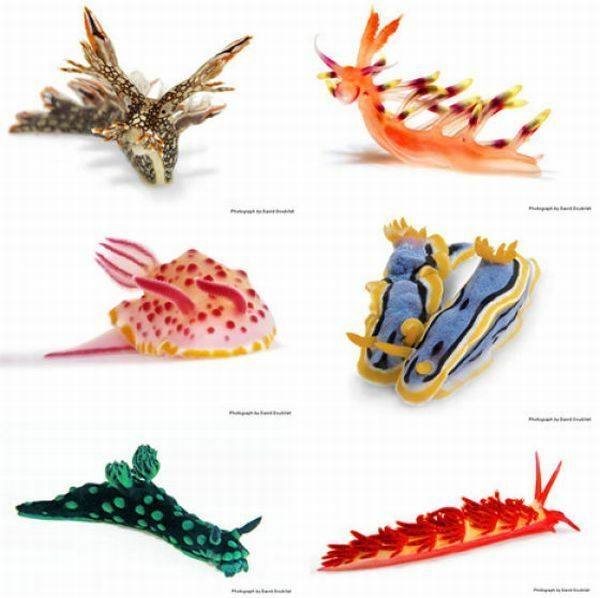 Sea slugs are classified in the phylum Mollusca , class Gastropoda, subclass Opisthobranchia, order Nudibranchiata.